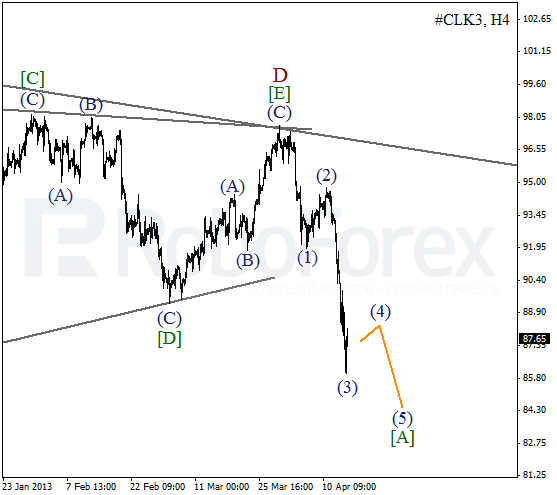 The current chart structure implies that the Index completed forming an ascending impulse inside wave 5 of (1). We can’t exclude a possibility that right now the instrument is forming an initial impulse inside wave . I’m planning to open some sell orders only after the price makes a reverse. More detailed wave structure is shown on the H1 chart. Yesterday the market finished the third wave and then started a correction. Most likely, the instrument will continue falling down inside wave 5 of  during the day. We may assume that the price is forming a descending impulse inside wave [A]. On the minor wave level, Oil started forming the fourth wave. Most likely, the market will continue its correctional movement during the next several days. 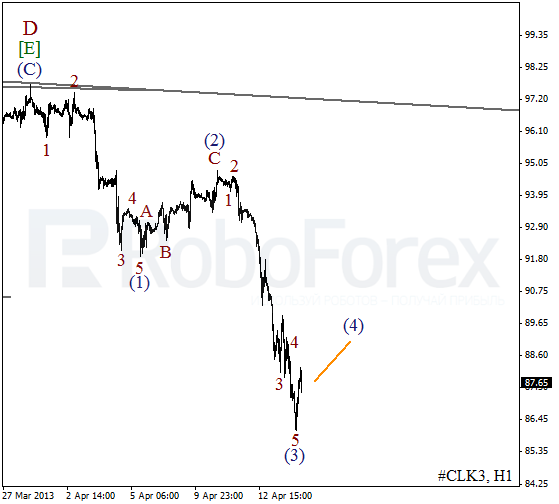 As we can see at the H1 chart, yesterday Oil completed an impulse inside wave (3). The instrument also formed a short initial ascending impulse, which may be the start of the fourth wave. It looks like the price is going to form flat pattern during the next several days.